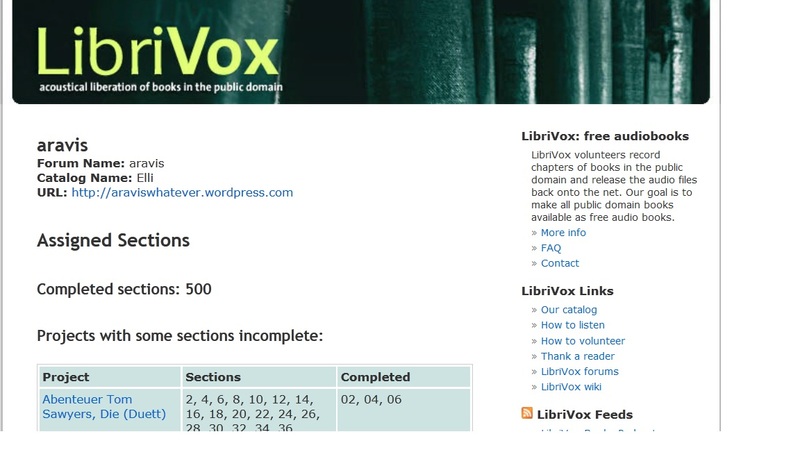 To celebrate the 7 years of LibriVox , readers from all around the world have recorded 77 works they have selected, all of which have 7 in their title.We hope you enjoy the amazing mixture they have come up with. A couple of minutes ago, I uploaded my 500. LibriVox recording!!!! Their faces fresh and fair.